Today I am so excited to be teaming up with Lily Jade to showcase one of their amazing diaper bags. Being a mom of two who are both 3 and under, can be a little hectic sometimes. 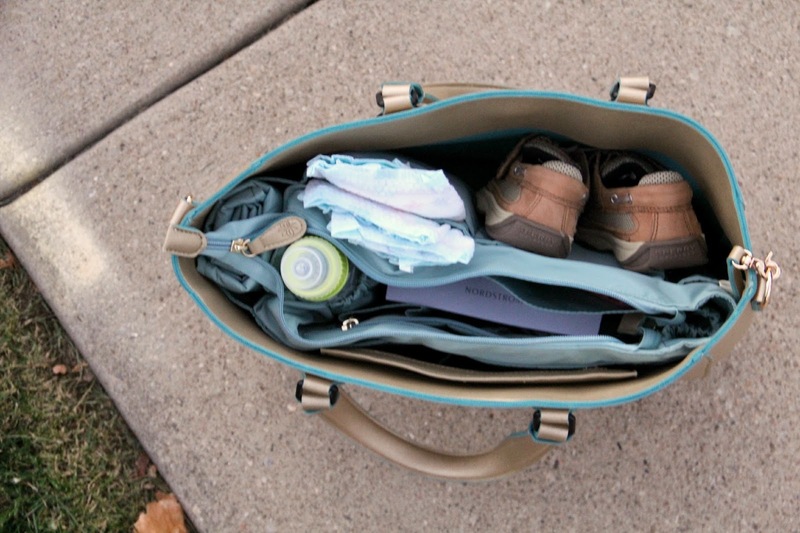 I rely on a good bag/diaper bag to get me through outings with my kids. This gorgeous bag has been a life saver. Not only is it obviously classy, but I love that it doesn’t actually look like a diaper bag. Oh, and don’t even get me started on the storage space. There are compartments for bottles, diapers, wipes, sippy cups, toys, and even a roll out changing pad. Not only that, but it also has a special pull out compartment for makeup and all of your beautiful mommy needs. 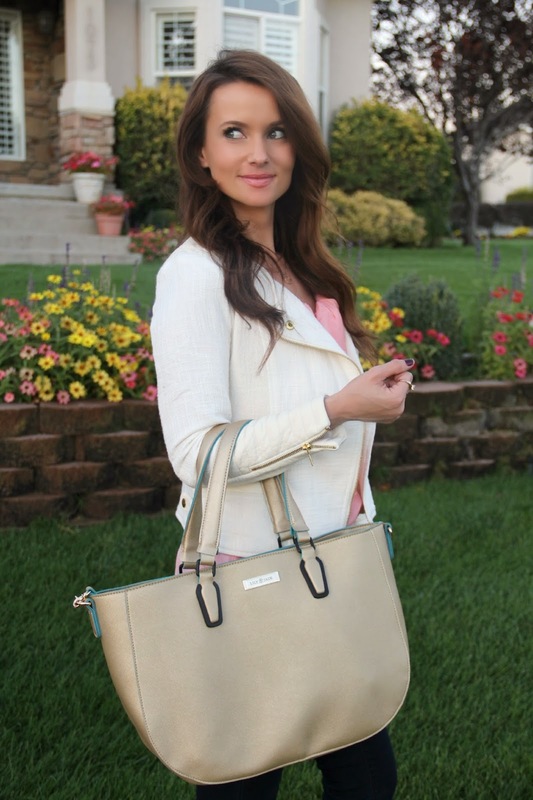 Trust me when I say this, you will LOVE this bag! Next Post What would you do…with a can of pumpkin? Such an awesome outfit and I love that bag! Happy birthday! Love this look, those heels are so pretty! Happy Birthday! Love this jacket! Happy Birthday!! You look gorgeous. Super cute outfit! I love the gold detailing on your shoes! Happy birthday!